This classic Fragrance was inspired by the celebration of love triumphant, that of Shah Jehan for the dazzlingly beautiful Princess Mumtaz Mahal. They lived out their passion in the shade of exuberant towering palm trees in the garden of Shalimar in India, serenaded by murmuring fountains that sprang from basins of finely chiseled marble. 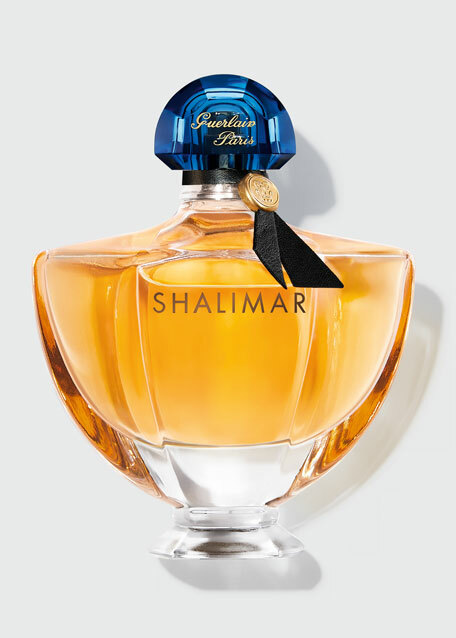 Touched by their beautiful love story, Jacques Guerlain created Shalimar, a scent to last through the ages. Top notes of lemon and bergamot, middle notes of jasmine and may rose, and finished with iris, incense, vanilla, and tonka bean. Combined they create one of the world's most famous perfumes. In May 1925, Shalimar dazzled the crowds when it was presented at the International Exposition of Decorative Arts at the Grand Palais in Paris. 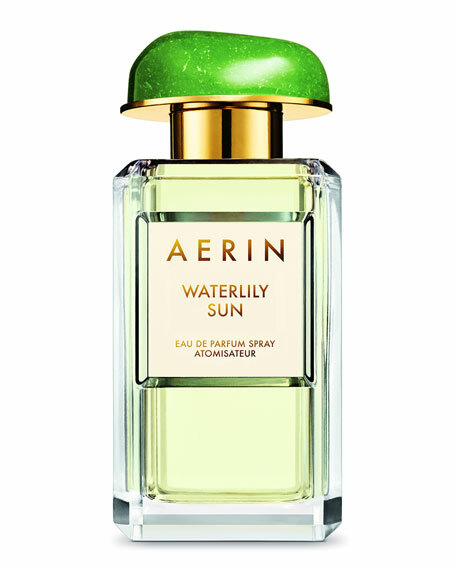 Today, English artist Jade Jagger has reinterpreted the celebrated Shalimar Eau de Parfum bottle. The icon of a new "rock 'n' roll royalty" and an inveterate globetrotter, Jade Jagger personifies modern glamour. Her lines are fiercely sober, contemporary, and devoid of unnecessary detail, which emphasizes the essential and exceptional. She carves, as she would a precious stone, the upper part of the cap into a fan. It is a jewel-like stopper that she dresses in an elegant gray blue. 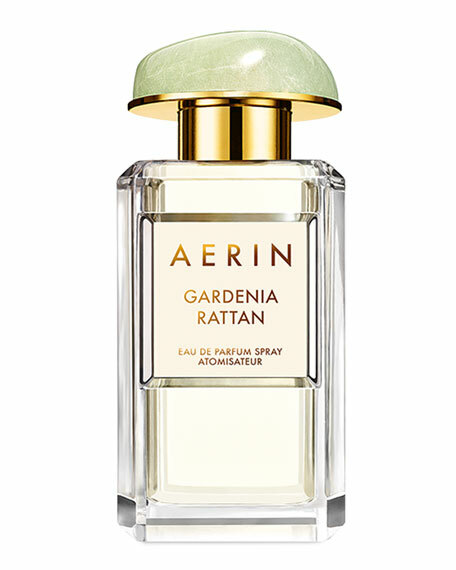 She brings back the signet, the hallmark of Guerlain's grandest perfumes, and places it on a fine midnight blue ribbon. Top notes: aldehydes, Bulgarian rose essence. 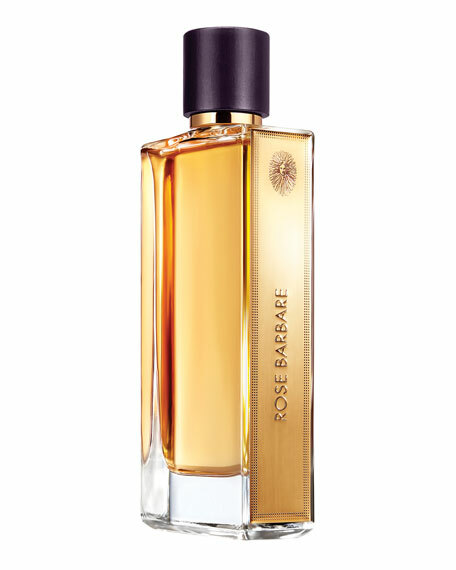 Heart notes: Turkish rose absolute, fenugreek. 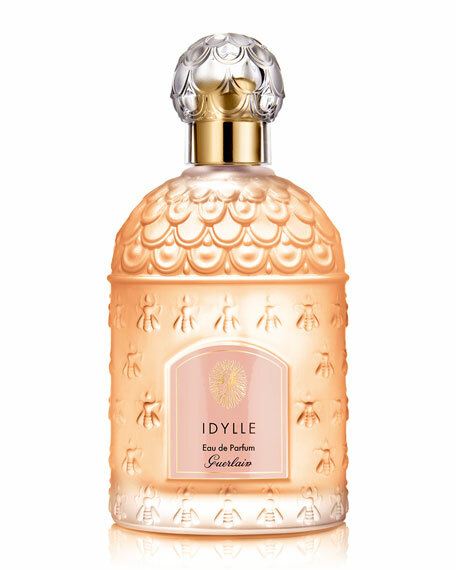 Note de fond: peach honey, patchouli, forest floor notes.